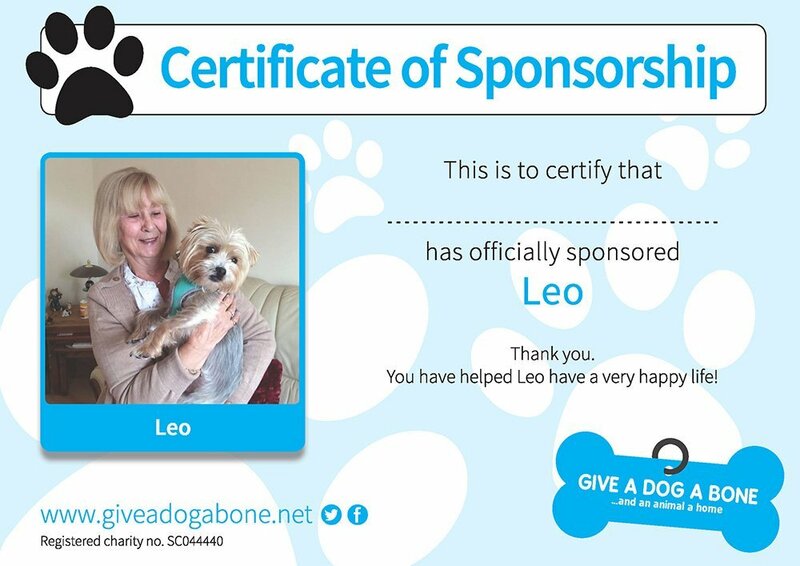 Treat a loved one by donating to Give a Dog a Bone on their behalf - a thoughtful gift that has real meaning. A donation of £60 can buy a year’s entry into our 500 Club, entering your loved one into our monthly £500 draw! They will receive a card explaining the 500 Club, the Give a Dog a Bone charity and details of their lucky number! A one off donation of £175 can pay for a homeless dog’s rehoming fee! Your loved one will receive a certificate saying that someone has gifted a rehoming fee on their behalf, a GADAB car sticker and keyring. Why not sponsor a specific animal on our Sponsorship scheme. By setting up a direct debit to our charity, each month, you can help us to continue our vital work.